Lecrae and Andy Mineo are about to hit the road again and they’re bringing some friends along. 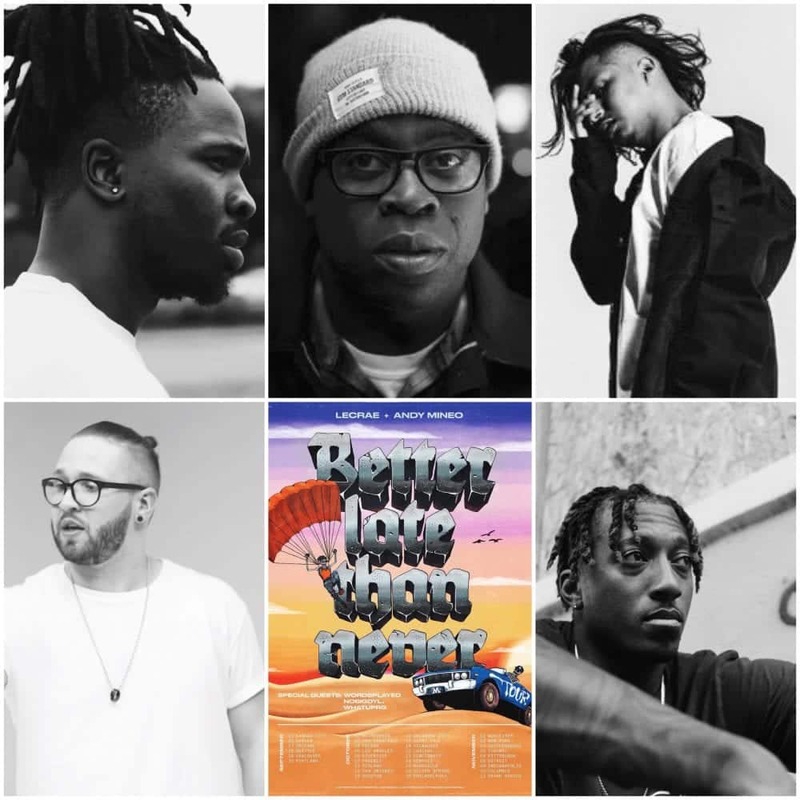 Starting in September they will be starting the “Better Late Than Never Tour.” The tour will also feature new signee to Reach Records WHATUPRG, fellow Indie Tribe member Nobigdyl. and Miner League artist Wordsplayed. Check the tour dates for a show at a city near you. Ticket sales for all dates go live this Friday (7/13/18).